mean buyers in some parts of the country can now borrow 95% instead of 90% of a property’s value. Until recently, mortgage companies had tighter standards for these markets because of falling home prices. ….Under the looser requirements, a borrower with a credit score of 680 or higher in New Orleans, for instance, can finance up to 95% of a home’s value. I’m not thrilled with this. Financial leverage has gotten a lot of attention lately as the cause of our recent banking woes, and that attention is fully justified. Asset bubbles are pretty much always credit driven, with leverage climbing relentlessly until suddenly the bubble pops and all the bills come due. One of the things that I wish Obama’s regulatory proposals had focused more strongly on is limiting leverage wherever and however it shows up in the financial system. But leverage is everywhere, not just on Wall Street. If you buy a house with 20% down, you’re employing leverage of 4:1. At 10% down it’s 9:1. At 5% down it’s 19:1. At the FHA minimum of 3.5%, it’s 27:1. That’s too much. Just as leverage much above 10:1 is dangerous in the banking system, it’s dangerous in the home mortgage market too. If 10% had been the minimum down payment over the past decade, the housing bubble never would have taken off the way it did. Crazy loans would have been rare. Unqualified buyers would have continued to rent. Mortgage fraud would have been dramatically reduced. Speculation and flipping would have been dampened. 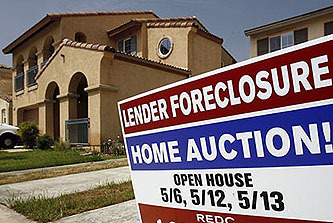 Foreclosures wouldn’t have decimated entire cities. The derivatives market wouldn’t have reached such stratospheric heights. We still might have had a medium-sized housing bubble, but the world probably wouldn’t have been on the verge of imploding last year. We should limit leverage everywhere: in the real banking system, in the shadow banking system, in hedge funds, and where it’s baked into derivatives. But we should also do it at the individual level: mortgage loans, car loans, and credit card loans. The point is not to cut off credit, but to do what we can to ensure that it grows steadily and sensibly, not catastrophically. A minimum 10% down payment to buy a house is a place to start.